Quinn Hosgood is a senior at Clayton A Bouton High school. 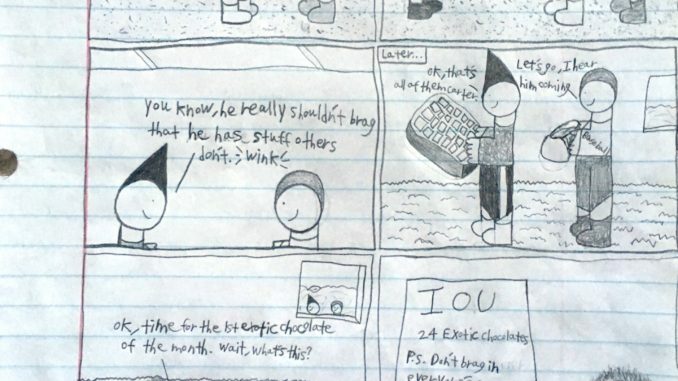 He writes a comic strip called Sam & Brutus & makes new comics every week. He also films them & puts them on his YouTube channel: https://www.youtube.com/channel/UCAWpg2nHJX8014nzxtAReng? 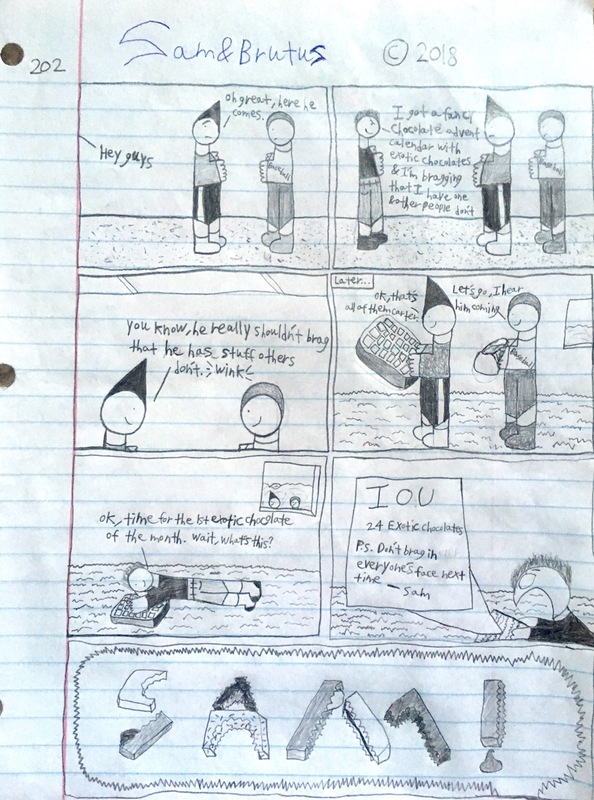 This is the 4th comic he’s submitted, the other ones are numbers 193, 197, & 200.